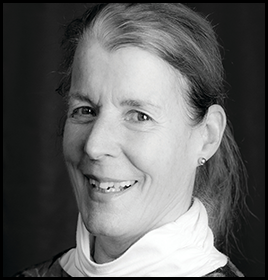 Amy has been teaching since 1991, AFAA certified. She got certified as a personal trainer through AFAA in 1999 as well. She also has a Schwinn Spinning Certificate. Amy loves to teach step aerobics and body sculpting classes. Barry is a certified physical educator with a BS from Springfield College in Health Physical Education, Recreation, with advanced study in Exercise Physiology, and Kinesiology. In his thirty plus years in Physical Education and Fitness he has worked in Corporate Fitness, Fitness Centers, YMCA’s, and Hospitals He has led bike tours, and taught all grades from pre-school to college and has coached sports at all levels, from children in elementary school to college track teams as well as advised adults in various aerobic sports.At Maine Pines he teachers SilverSneakers®, spin classes, conditioning classes to youth and adults, tennis to youth and is a personal trainer. He resides in Topsham, Maine, works as a Physical Educator and Adapted Physical Educator for MSAD 75 (Harpswell Community School), and (of course) at Maine Pines. Brenda has been teaching aerobics since 1991. She has been certified by the American Council on Exercise (ACE) since 1993. 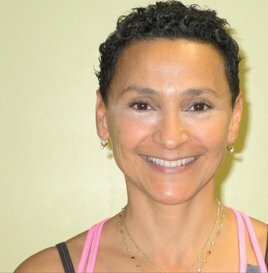 Brenda teaches classes in step, strength and toning, core, cardio aerobics and senior classes. She has taught in North Carolina, California, and Maine. 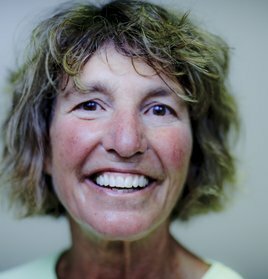 Cindy Fahay obtained her certification with Jacki Sorenson in 1976 as both an Aerobic Dance Instructor and a Step Aerobics Instructor. 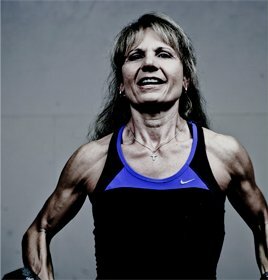 She has been involved with group exercise and dance for over 40 years. More recently since moving to Bath in 2006, Cindy has been part of the YMCA Instructor Development Certification Program. Cindy was involved with the launch of the Healthy Self Program at Maine Pines in 2010 which is aimed at keeping fitness, nutrition, work and family in balance. Cindy loves to groove and smile to music. Fitness is pure fun to her. 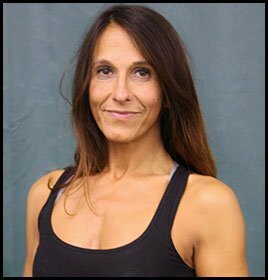 Ida is a fitness professional who has been teaching fitness classes and Personal Training for fitness facilities, elementary schools, high school, collegiate, and adult athletes for 15 years. In addition to developing programs and motivating athletes of all levels, Ida received the award for Life Time achievement from The Maine Governor’s Council on Physical Activity 2012. Ida is accredited by the National Academy of Sports Medicine (NASM). She is also a certified instructor and examiner for the Aerobics Fitness Association of America (AFAA) and Zumba. Jameson has been teaching, coaching, and personal training since 2003. His client history ranges from student athletes at high school and division one colleges to professionaut fitness, nutrition, and science. His hobbies include: reading, baseball, painting, and hiking. 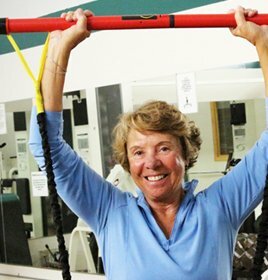 Maureen Sullivan’s history at Maine Pines dates back to the 1980’s…then Merrymeeting Health & Fitness! 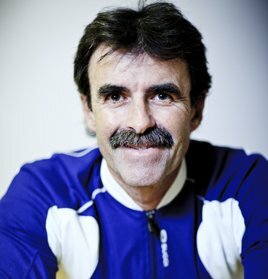 Fitness History:1981-84 –Women’s Racquetball coordinator @ BTC . 1985-92 – Aerobic Instructor with SAD 75 Adult Ed and Merrymeeting Health & Fitness. 2006-08 Cycling Instructor at Portland YMCA 2006-present – Personal Trainer and Cycling Instructor at Maine Pines and Personal Trainer at Just Friends Inc.
Maureen’s personal interests include a continuing commitment to all aspects of fitness including competitive racquetball, biking, hiking, skiing and just about anything active! Her greatest love, however, are her two children: Paddy, age 30, a resident Biologist in Anchorage, AK and Katy, age 28, a working grad student residing in South Portland. 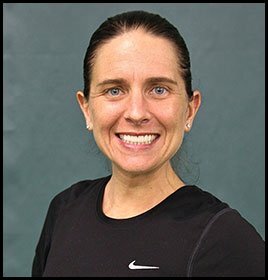 Rosina is certified as a Health Fitness Specialist by the American College of Sports Medicine (ACSM). She is also certified with Aerobics and Fitness Association of America (AFAA), Reebok Step, International Sports Conditioning Association (ISCA), Cardio Kickboxing, and Aquatic Association. A fitness enthusiast since she and her husband were stationed with the U.S. Marines in 1979, Rosina has always believed in the benefits of a healthy lifestyle.Rosina designs healthy exercise programs to meet her client’s goal. In addition, she specializes in high energy, high intensity workouts for people that are looking for a challenge. Béa was born and raised in Paris, France. She studied Ballet, Modern Jazz and was part of a Samba troupe in Paris. She continued studying dance in Los Angeles, CA, and taught step aerobics and private trained at the Sports Connection in Santa Monica and Spectrum Club in West La. She is a certified Zumba Fitness and Zumba Toning instructor. She is also certified in Pulse Pointe Barre. She loves sharing her passion for dance and a healthy lifestyle. First certified in 1998 as AFAA Group Fitness instructor and taught Step Aerobics and Strength Conditioning at Kadena Air Base Okinawa Japan. 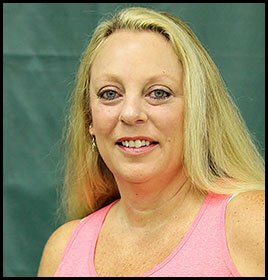 Heather returned to her love of being a fitness instructor early 2016 and re-certified with AFAA as a Primary Group Fitness Instructor. At present, she maintains an active Zumba license and certifications in Beyond Barre, Silver Sneakers Classic, and AFAA G.E.A.R. She’s also currently enrolled in the AFAA Personal Trainer program. Her personal interests include reading, gardening, snorkeling, and traveling to any place warm, but her primary personal interest resides in her family life having married the love of her life and having raised two kids: a daughter who graduated from Northeastern University and is a practicing doctor of pharmacy and a son who is finishing up his tenure at West Virginia University in strategic communication for sports broadcasting.